This course is for anyone who has an interest in furniture design and making. No prior woodworking experience is necessary as you will be guided step-by-step through the different processes to create a piece of furniture. This hands-on course will introduce you to a wide range of hand tools, machine tools and spray finishing techniques. By the end of the course you will have a thorough understanding of the different workshop processes, and a finished piece of furniture (a coffee table with drawer) that shows how you have applied these to your project. 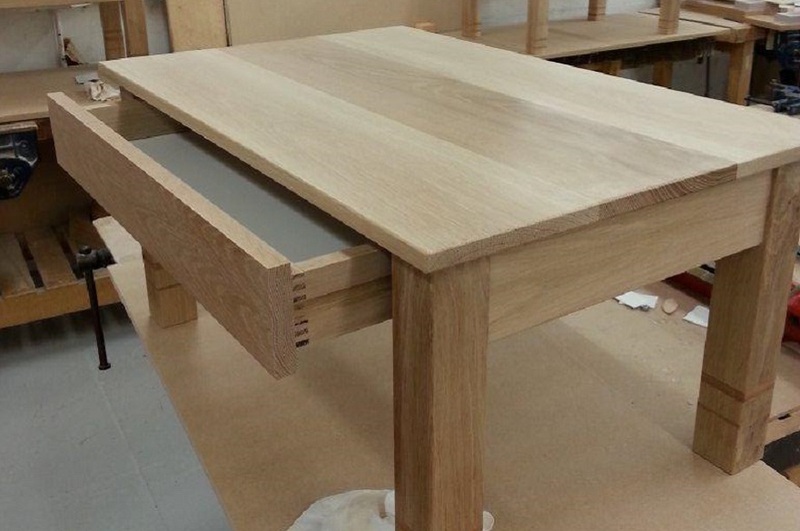 Tutor Profile: Carl Smith has over twenty years’ experience making bespoke and mass production furniture, and is one of NTU’s longest serving furniture makers. He started his career as an award-winning apprentice for Stag Furniture, and eventually trained to full certification as a journeyman, winning many other awards along the way including the National Skills Builder winners’ title and Olympia Cup gold medallist title. In his daily role Carl advises students on the design and construction of prototype models. His knowledge and expertise is used on many UG and PG courses at NTU, including product and furniture design, architecture, interior architecture and visual and decorative arts. explore different finishing techniques that will make your piece truly unique. The fee for this course is £675 - £725.